Every challenge, every achievement, we’re right behind you as a team. 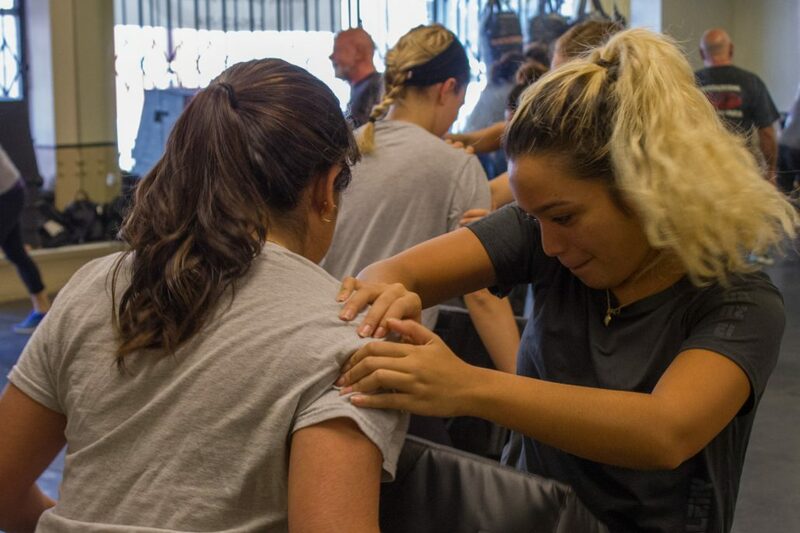 Krav Maga San Francisco was established in 1999, originally running classes in a small 750 square foot facility in the Marina district of San Francisco. Krav Maga is an extremely efficient self-defense system for real-life situations, emphasizing practical defenses against common attacks. Today, Krav Maga San Francisco holds over 60 classes per week in a 2-floor 12,000 square foot training facility. Over the last 18 years, thousands of men, women and young people from all walks of life have come through our doors and every day they leave safer, stronger and more fit. Krav Maga (pronounced ‘Krahv MaGAH”) means ‘Contact Combat’ in Hebrew. It is the official self-defense and fighting system used by the Israeli Defense Forces (IDF), Israeli Police and Security Services, and is the preferred training system for more than 350 U.S. law-enforcement agencies. The founder of the system, Imi Lichtenfeld, was a resistance fighter who honed his skills in the streets of Czechoslovakia protecting himself and Jewish neighbors from fascists in the 1930’s. Imi was a multi talented athlete, training in boxing, gymnastics and wrestling. His father Samuel was a chief inspector of Bratislava police and former circus acrobat. Imi’s pragmatic approach to sport and fighting led him to create this unique and effective civilian self defense system. However, before Krav Maga came to the public, Imi’s path took him through the occupation of Czechoslovakia, Palestine, North Africa and finally to the formation of Israel and the IDF. He became the chief instructor for fitness and Krav Maga at the IDF School of Combat Fitness. Over the next 20 years he developed his system for self defense and hand-to-hand combat. In 1964, Imi retired from active duty and and began to modify Krav Maga for the peace time needs of police and civilians. To bring the system to America in 1983 he directed the formation of the Krav Maga Association of America with top student and Krav Maga Black Belt Darren Levine. 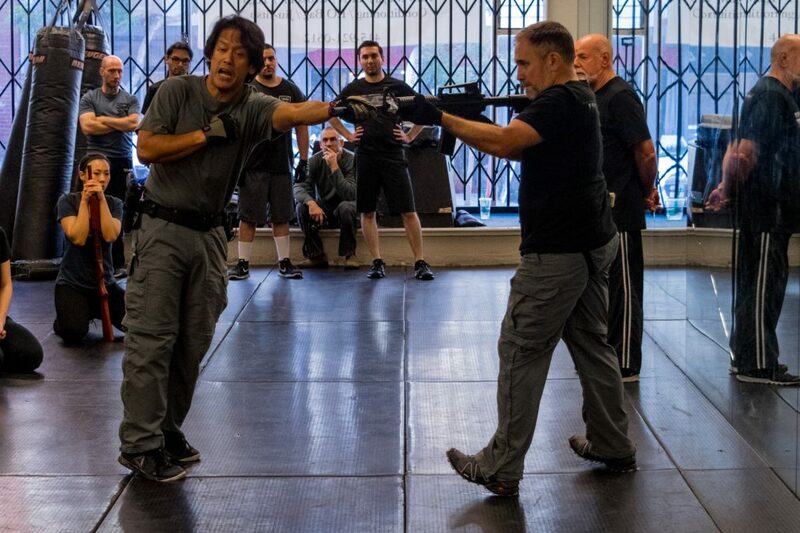 In 1999 our connection to the system begins, as KMSF Owner and Head Instructor Barny Foland started his training with Darren Levine and the team at Krav Maga Worldwide in Los Angeles. Our relationship with KMWW continues to this day, as we continue to send instructors to their A, B, and C phases and advanced training courses. The system continues to grow and evolve. We are constantly assessing the state of modern self defense tactics and threats. We’ve seen modifications to the system based on trends in crime and the ubiquity of sport fighting. KMSF enjoys positive relationships with other Krav Maga groups, and other fitness and martial arts systems. We remain committed to learning and teaching our students skills to stay safe in today’s world so that, in the words of the founder “We may walk in peace”. Ki-Da!